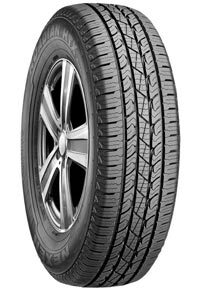 These are excellent tires and a great value for the money. I have bought them for two vehicles and getting ready to buy them again. Bought for Jeep Grand Cherokee and Ford F150. Great tires. Have bought them for two vehicles and getting ready to buy again. Great value for the money. Excellent tire! It snowed the next day and I was very surprised how well they did. These tires are great!! In fact, they have better wet traction then my previous Michelin tires that came with the truck. This thing rides like a dream and gas mileage went up a tiny bit too. I would buy these tires again. They are made with quality compounds. In Florida, wet traction is essential to avoid accidents. These tires deliver and ride so smoothly.